At the last Council Meeting (16/12/2014), a petition (with approximately 1,000 verified signatures), was submitted to Council requesting that a heritage survey be conducted of the little known Frogmore House (1857) in Wahgoo Road, Carnegie. A recent advice of a proposal to demolish and replace Frogmore, with a state of the art 120 bed aged care facility, made residents realise that Frogmore House had been overlooked in past Council heritage surveys and, therefore, did not have heritage classification. 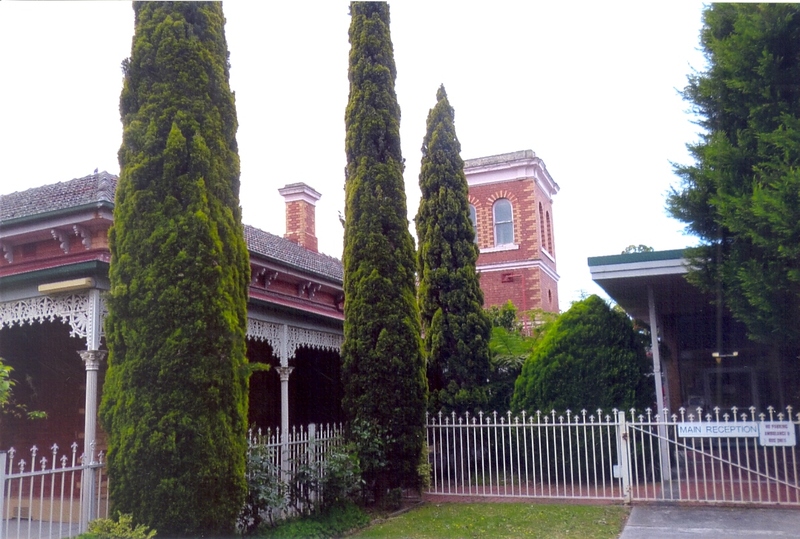 In addition to the petition, the residents have also lodged submissions, to include Frogmore House in the Victorian Heritage Register, with Heritage Victoria. GERA has been supporting the residents in their quest to have Frogmore House assessed for historical importance (social, cultural and heritage) as it is a significant property with potentially National and definite State and Local importance and is worthy of preservation. As a result of the petition, Council “engaged a heritage adviser to “reassess” the heritage value of Frogmore House … the report is due within days” (Leader Article – 13/01/2015). While GERA is not aware of the content of the adviser’s report, GERA welcomes Heritage Victoria’s recent advise that, at Council’s initiation, an Interim Protection Order (IPO) has been issued for Frogmore House. The IPO prevents any demolition works being undertaken until Heritage Victoria has completed an assessment and determination of the significance of Frogmore House. 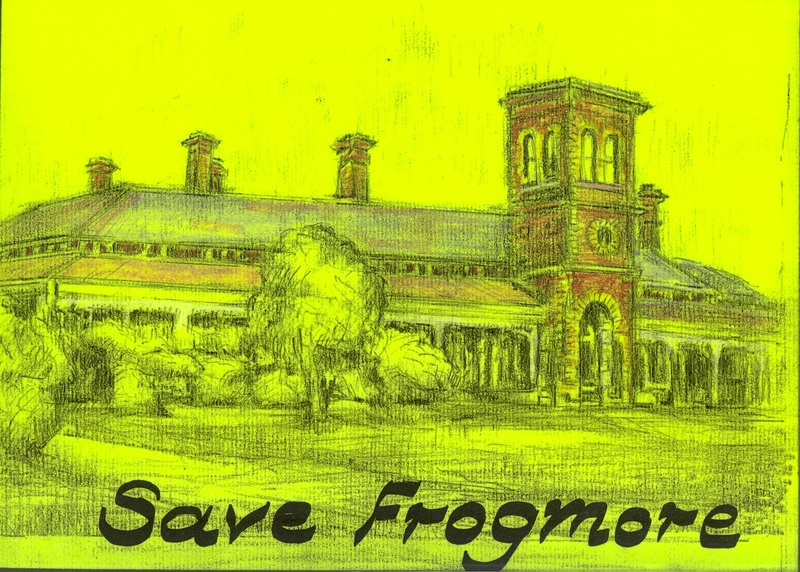 GERA congratulates the residents who undertook substantial reasearch and organised the “Save Frogmore” campaign (a superb effort), those who signed the petition and Glen Eira Council, particularly Mayor Jim Magee, for initiating the IPO. 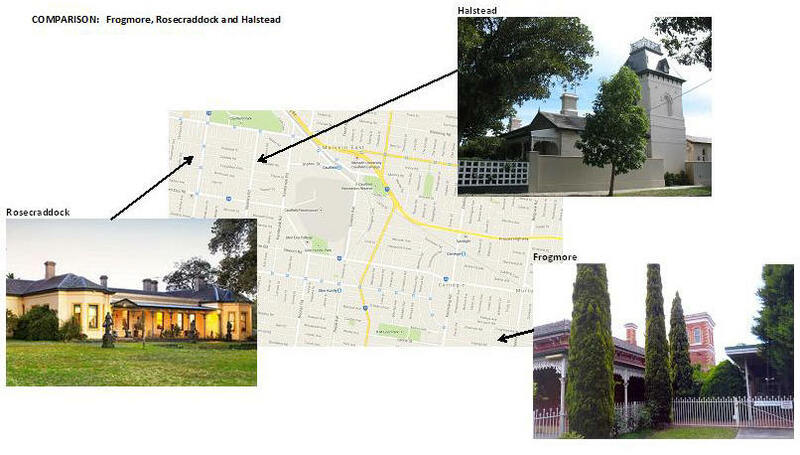 The following is a summary of the residents’ submissions to Heritage Victoria for the inclusion of Frogmore House in the Victorian Heritage Register. Frogmore House is an intact early single storey Italianate working farm family residence (with an ornate red brick tower, surrounding verandas on 3 sides and a garden setting with mature vegetation) built in 1857. It is situated in the former farmer settlement area then known as the Caulfield District and now known as suburban Carnegie/Murrumbeena . 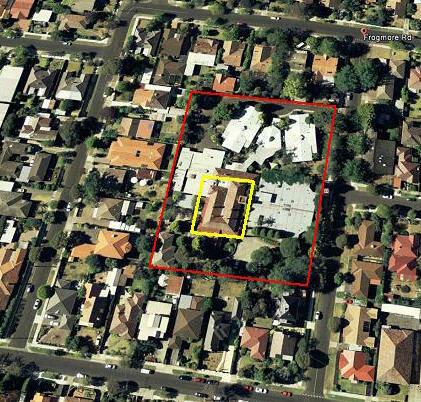 Surrounding buildings, which obscure the street view of Frogmore House and are associated with Frogmore’s immediate past (65 years) usage as an aged care residence, are not included in the Heritage Listing Application. 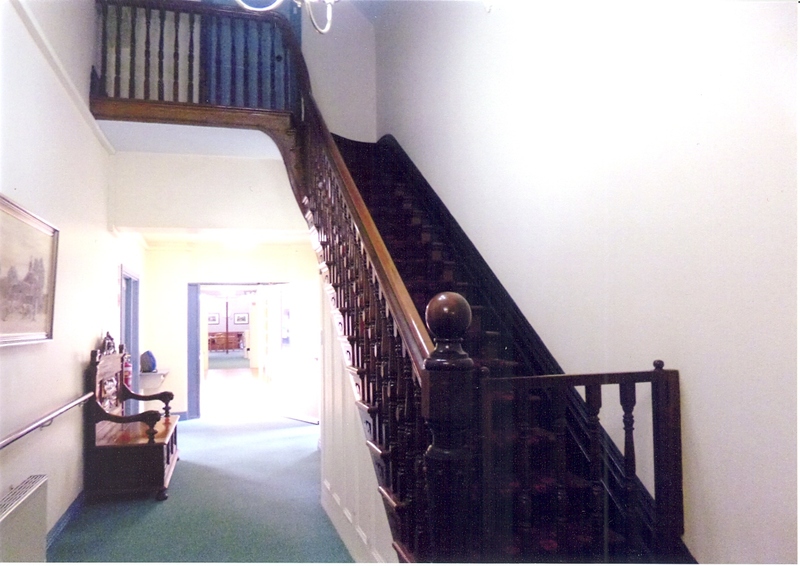 Internally, public access and residential areas retain original ceiling and wall mouldings and are well maintained. The tower staircase remains. Frogmore House was designed by renowned Architect Joseph Reed, as the working farm/family residence for William Lyall (a significant Scottish Pioneer who was in residence 1857-1868). In 1868 it became the residence of Archibald McLaurin (another significant Scottish Pioneer who was in residence 1868 to 1891). As well as prominent city buildings, Reed also designed smaller buildings and residences and was renowned for designing according to the intended “function of the building”. While few of the residences designed by Reed remain today, 2 exist within Glen Eira. The much grander Rippon Lea (1868), also designed in the Italiante* style (Lombardic Romanesque) as a two-storey, 15 room house for a successful (former goldfields) merchant’s family residence and estate. It features polychromatic (three tone) brickwork and an extensive pleasure garden around the house. Rippon Lea, circa 1880. 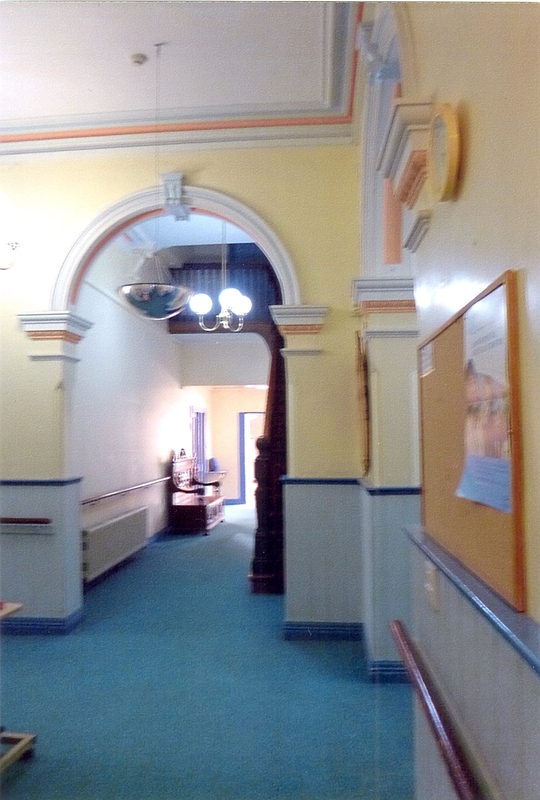 Rippon Lea has experienced alterations and additions over time. William Lyall (1821-1888) – Resided at Frogmore 1857-1868. He returned to England and studied agricultural chemistry in Britain (1854-1856), returning to Victoria with stud livestock and gained a reputation as a stock breeder (cattle and sheep, race horses and game birds) with sales within Victoria and to Tasmania, NSW and New Zealand. The Public Offices held by Lyall, while residing at Frogmore, include founder of the Victorian Agricultural Society, Zoological Society, Acclimatisation Society (Southern vs Northern Hemisphere impacts on pasture plantings and livestock) and Victoria Racing Club, member of the National Agricultural Society, Member of the Legislative Assembly (Mornington 1859-1861) and Territorial Magistrate. Archibald McLaurin, J.P. (NSW) (1815 -1891) Resided at Frogmore 1868-1891. Following the death of Archibald McLaurin, during the period 1891-1951 details on the subsequent occupants (owners and or tenants) of Frogmore are limited (eg. 1906 – Gairdner, 1913 – J.G. Thompson, 1921 – L.O. Menck, 1925-1945 – J. Keys). However, various period documents and newspaper articles record Frogmore House as hosting Melbourne society functions/gatherings, Church Services and Fund Raising events throughout this period. In 1951, Frogmore House was acquired by the Churches of Christ and operated as the “William Clay Nursing Home” (originally 25, later extended to 48 beds). In the 1990’s it was further extended to 60 beds and renamed “Betheden”. 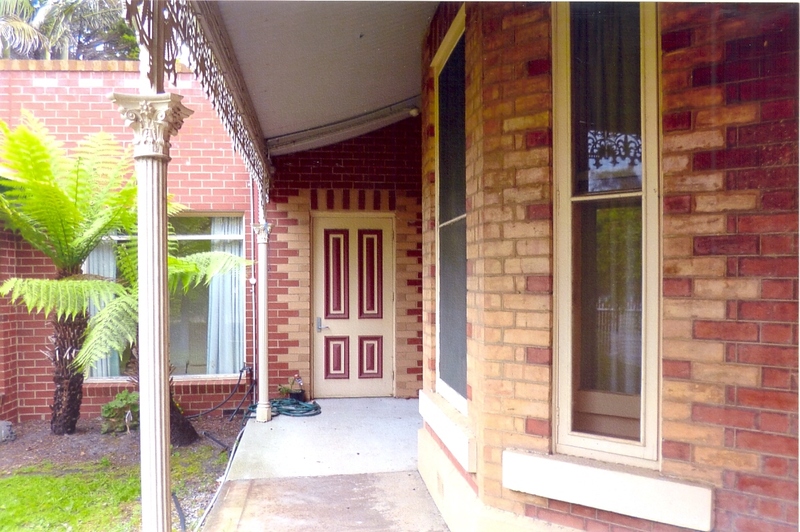 As previously mentioned, although various additions have been made in accordance with Frogmore’s 65 years of continuing aged care usage, these additions have been sympathetic to the integrity and structure of the original house and the interior has been well maintained. Criterion A – Importance to the course, or pattern, of Victoria’s cultural history. Example of a grand early working farm family residence whose early owners included pastoralists, actively involved with the development of Melbourne and Victoria. It’s location in Carnegie demonstrates the pattern of land settlement as Melbourne and Victoria developed. Criterion B – Possession of uncommon, rare or endangered aspects of Victoria’s cultural history. Frogmore House is a rare example of an early (1857) Italianate* single storey working farm family residence in the former Caulfield District of Melbourne. Few residences remain from the 1850s. 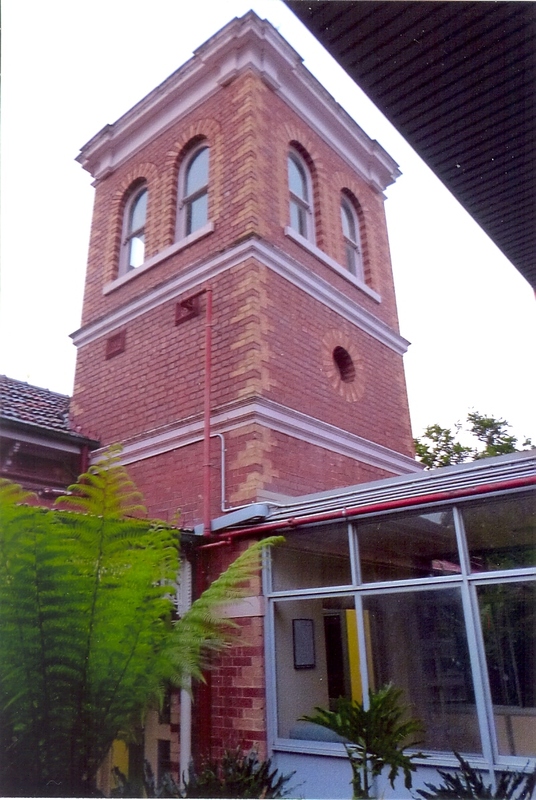 are not attributable to a known architect (although Rosecraddock’s recessed central verandah section and cast iron lace, added in the 1880’s, is attributed to architect Lloyd Tayler). were designed and constructed as residences of wealthy Melbournian Public Servants and Merchants rather than as a functioning model farm and family residence (of a wealthy livestock merchant and pastoralist interested in practical and innovative animal husbandry practices and pasture improvements). locations represent their importance in the socio-economic history of south eastern suburban Melbourne, whereas Frogmore’s simultaneous construction emphasizes the inland pattern of development as well as that socio-economic history. Encouraged Scottish migration and development (farmer-settlers) of Victoria and Caulfield District (now Melbourne and in particular Carnegie/Murrumbeena) – McLaurin and Lyall . William Lyall – successful livestock merchant (imported stud bloodlines) and innovations/experimentations with pastures (grasses and seeds) and animal husbandry. * Italianate Style – featured asymmetry and, usually, a tower of varying size. In Australia, the addition of the verandah, sometimes arcaded but later in Filigree (wrought iron), gave a regional flavour to the style. The Extended Liquor Licence, attached as supporting documentation, is a copy of the MRC’s existing Liquor Licence. The area for the Outdoor Cinema (Area 1 in the below posting) was stated (by the MRC representative) as being within MRC’s existing lease agreements, however, no statement was made on the leasing agreement status of the Car Boot Village Precinct (Area 2 in the below posting). Council was requested to confirm that the Outdoor Cinema Area is within the existing lease agreements and that Trustee Approval for the Cinema has been obtained. All facilities (ie screen, toilets, food and beverage services) associated with the Outdoor Cinema will be temporary in nature. The permit closing time of 1 a.m. provides for cleaning and clearing of the Outdoor Cinema area to occur immediately after the departure of Cinema patrons. Despite resident attendees raising the issues outlined in the below posting, immediately after formally closing the planning conference, Cr. Delahunty informally commented that the permit application would be granted for the full 365 days. 27/1/2015 – The DPC Hearing scheduled for this Thursday (29/1/2015) has been cancelled and is to be replaced with a more appropriate decision making process that involves Councillors and a Council Meeting decision. The Hearing is to be replaced with a Planning Conference (5/2/2015 @ 6.30 p.m. – Glen Eira Town Hall, Caulfield Cup Room). As per our previous advice – Council’s policy is to accept and consider all objections received up until the Committee Hearing or Planning Conference (now 5/2/2015), hence residents wishing to object can still do so. 22/1/015 – Delegated Planning Committee (DPC) Hearing to be held on 29/1/2015 at 1.30 p.m. Council’s policy is to accept all objections received up until the Committee Hearing or Planning Conference, hence residents wishing to object can still do so. Residents should be extremely concerned about the recent planning permit application signs placed around the Caulfield Racecourse Reserve (CRR) prior to the Christmas/New Year break. Despite the strong criticism, of both the Trustees’ management of the Reserve and the oversight of the Department of Environment and Primary Industry (DEPI), contained in the September, 2014 Auditor General’s Performance Audit of the Caulfield Racecourse Reserve, it appears that the racing industry is seeking to expand its use of the reserve for commercial activities. The Planning Permit Application (GE/PP-27172/2014) is for “Use of land for a Place of Assembly (Outdoor Cinema)”. The Outdoor Cinema does not, as many may have assumed, use the recently approved “$4m Electronic Screen” permanently located in front of the Grandstand (S). It is a separate mobile facility which will be located between the course proper and the Administration Building (Area 1). Includes an application for an extended liquor license applicable to both the outdoor cinema (Area 1) and the Car Boot Village area within the centre of the Racecourse (Area 2). As per the information outlined below, both the Outdoor Cinema and liquor license will/may operate 365 days per year until 1 a.m. and will involve permanent or temporary installation of service facilities. 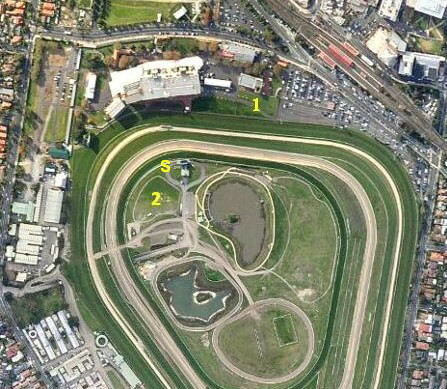 The Caulfield Racecourse Reserve comprises some 54 hectares of Crown Land created by a Crown Grant in 1858 for three separate yet equal purposes – racecourse, public park (passive usage) and public recreation ground (active usage). Over the years, various subsequent Acts of Parliament have re-iterated and re-enforced these three purposes and their equality. Management of the reserve in accordance with the above three purposes has been provided by a Board of Trustees comprising 6 representatives nominated by the DEPI, 6 representatives nominated by the MRC and 3 nominated incumbent Councillors. The DEPI is entrusted with overseeing the Trustees management of the reserve in accordance with the three separate yet equal purposes. “Historically, the trust’s decisions have disproportionately favoured racing interests with insufficient attention paid to fulfilling the community-related purposes of the reserve. the remaining 6 hectares – approximately 11 per cent – is open space for the potential use by the community during prescribed hours. Extended Liquor Licence Application – Applicant: Victorian Amateur Turf Club (VATC) for the “supply of liquor in the course of catering for events, social receptions or social functions in premises other than the licensed premises during trading hours”. The Car Boot Village Area (Area 2 – estimated to be 1.1 ha) which although designated a public access area during the 2011 landscaping has, without any publicly available justification, since been designated a restricted area. Temporary and/or permanent bar facilities will be located in both areas 1 & 2. Good Friday and Anzac Days – between 12 noon and 1 a.m.
On any other day – between 7 a.m. and 1 a.m.
Cinema use will be primarily between November – March with an option to extend this usage throughout the year. No indication is given of expected weekly or daily usage (eg. weekends only, 7 days per week). Sessions will run from dusk to 1 a.m.
Expected average attendance is 500 patrons per session with car parking being provided via the Guineas Carpark (500 spaces) which is greater than the car parking requirements for Places of Assembly (0.3 car spaces per patron = 150 car parking spaces). Since the Guineas Car Park is also expected to provide parking for the patrons and visitors of the Caulfield Village Development, any overflow car parking requirements are to be serviced by the MRC’s numerous other car parks. Cinema activities will be fully contained between Racecourse Proper and the Administration Building (Area 1). Food and beverages will be available from the Black Caviar Pavilion and may also be brought in by patrons. Toilet and other facilities are available nearby on the course and will prominently signed. A localised audio system will be used within EPA guidelines. Lighting of the area will be necessary for safety requirements, however, the screen will be the primary light source. Justification for the Cinema Proposal – Prepared by Beveridge Williams on behalf of the MRC. View of the racecourse afforded to visitors. The MRC has received the approval of the public land manager of the Reserve. That the approval of the Caulfield Racecourse Reserve Trust (CRRT) has been obtained. No documentation re a lease agreement or approval of the CRRT has been provided. Details of the application for the Extended Liquor License are presented “in support” of the Outdoor Cinema application yet is not specifically mentioned in that application. Surely, it should be part of the application and be supported by explicit approvals of the DEPI and Trustees. No documentation re a lease agreement or CRRT approval has been provided. Provision of Car Parking – It is proposed that cinema (and presumably Car Boot Village Functions) car parking will be provided by the Guineas Car Park (500 spaces) which exceeds the specified requirement of 3 car spaces per patron = 150 car parking spaces. The report mentions the Guineas Car Park will also be used by Caulfield Village residents, visitors and patrons. However, it does not mention that the Guineas Car Park will also be used for events held in the Grandstand/Function Complex and the Car Boot Village Area and by Glass House Tabaret patrons. No analysis of car parking demand has been presented in support of the comments that “any overflow car parking requirements are to be serviced by the MRC’s numerous other car parks” and that there will be “minimal impact to the Community”. The comment that “The proposed outdoor cinema makes use of an entertainment facility that would otherwise lie idle during the proposed hours of operation” does not address the issue of inequitable parkland usage. Unlike other public parks, public access to both the Outdoor Cinema area and the Car Boot Village areas are currently permitted between 9.45 a.m. and dusk – ergo those facilities are idle because the public is denied access. It also begs the question of why public park usage is not permitted between 7.00 a.m. and 1 a.m. yet commercial activities, accompanied by liquor service, is permitted. Insufficient information provided on the installation of “temporary and/or permanent facilities” bar service facilities to be located within Outdoor Cinema and the Car Boot Village area. No other information is provided and without additional information it is impossible to make an assessment – any decision made will provide full discretionary authority or a carte blanche to the MRC and VATC which will be extremely difficult to modify. the application (Outdoor Cinema and Liquor License) disproportionately favours racing usage of the reserve (for commercial activities) at the expense of the public park usage. GERA believes it is inappropriate for Council to make a decision on the application and the application should be held in abeyance until formal unconditional approval is provided by the DEPI and CRRT. We will publish the update as soon as this technical issue is resolved. Again our apologies – unfortunately, due to a technical issue, we are unable to present this update on our November, 2014 forum. We will publish the update as soon as the technical issue is resolved. Apologies – unfortunately, due to a technical issue, we are unable to present this update on our November, 2014 forum. We will publish the update as soon as the technical issue is resolved.